Do you feel anxious for no reason, unable to sleep or concentrate properly? It could be low-level depression. According to recent estimates by the World Health Organization, as many as 120 million people worldwide suffer from some form of depression. Depression can be as disabling as a physical illness. 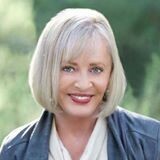 It can bring about pain, fatigue, headaches, and digestive problems. 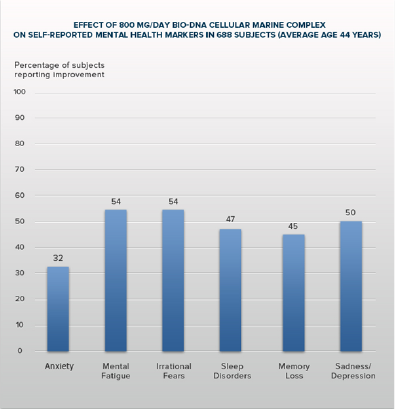 This study shows that Bio-DNA Cellular Marine Complex is highly effective in improving various aspects of mental health after just 15 days, without any of the toxic side effects of commercial mental health drugs.